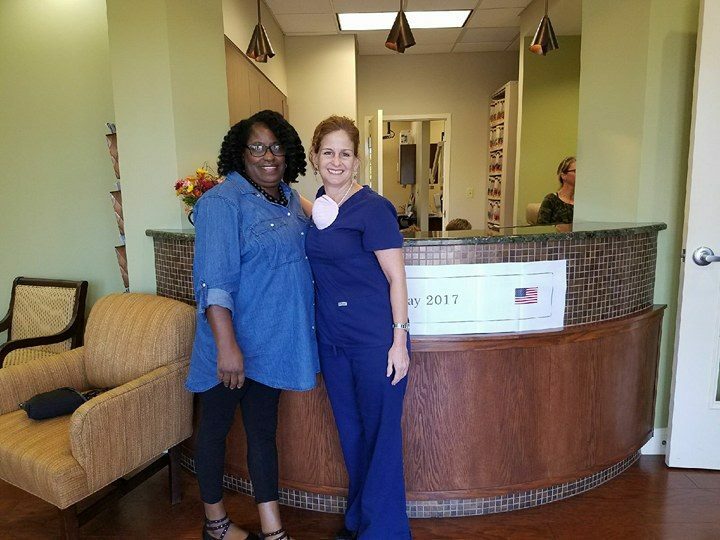 With the help of local restorative dentists, Gum Specialist Dr. Todd Britten held his third annual Veteran's Day Event in his Clearwater, Florida office. Dental Hygienist Samantha Finch and Dr. Todd Britten with Veterans from the 2017 Veteran's Day Event held in Dr. Todd Britten's Clearwater Periodontal office. Dr. Todd M. Britten and the team at Britten Periodontics & Implant Dentistry had an early start on Veteran's Day which is Friday, November 11th. They held their 3rd annual Free Dental Day for Veterans on Friday, November 3rd, 2017. 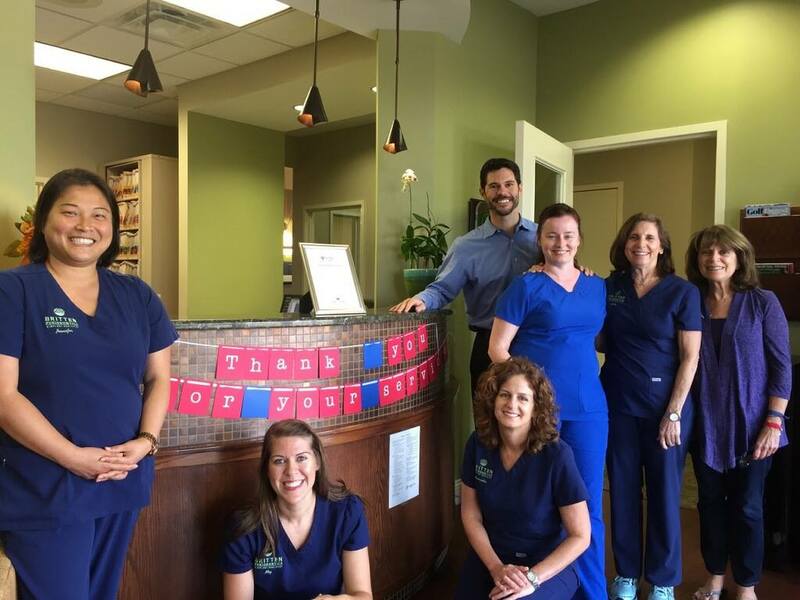 Britten Periodontics once again had overwhelming offers to help from many dental professionals in the community willing to donate their time and resources to provide free dental care. Patients were directed to the event this year from The Homeless Emergency Project in Clearwater, as well as local V.A. Branches from Pinellas, Pasco and Hillsborough counties. 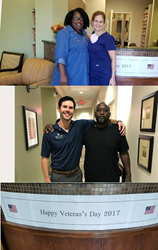 “Once again, we have had an incredible response from the community and were able to get skilled and compassionate local restorative dentists involved.” For the third year in a row, Clearwater Dental Associates, Dr. Jim Hayslett and Dr. Keith Kiskadden and their staff are on board to help out with our event, seeing patients for fillings, crowns and even dentures. 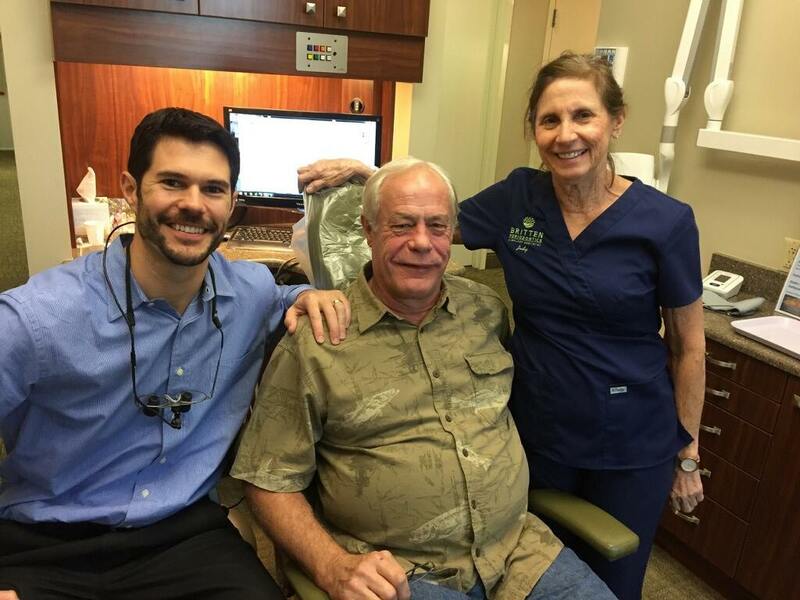 New to this year’s event, Dr. Michael Podlusky in Seminole, Florida, also reached out to Dr. Britten to also help, making upper and lower dentures at no-cost for one of the patients. "Many thanks to Dr. Britten for organizing the Veteran's Day Event and graciously offering me the opportunity to help treat a patient. So glad to help at least one of our honored Vets. One person can't do everything, but all of us working together surely can!" Said Dr. Mike Podlusky. Dr. Britten’s dental specialty, periodontics, often involves managing and treating advanced gum disease. A periodontist is often able to help a patient in danger of losing teeth or with active oral infection to turn their health around. 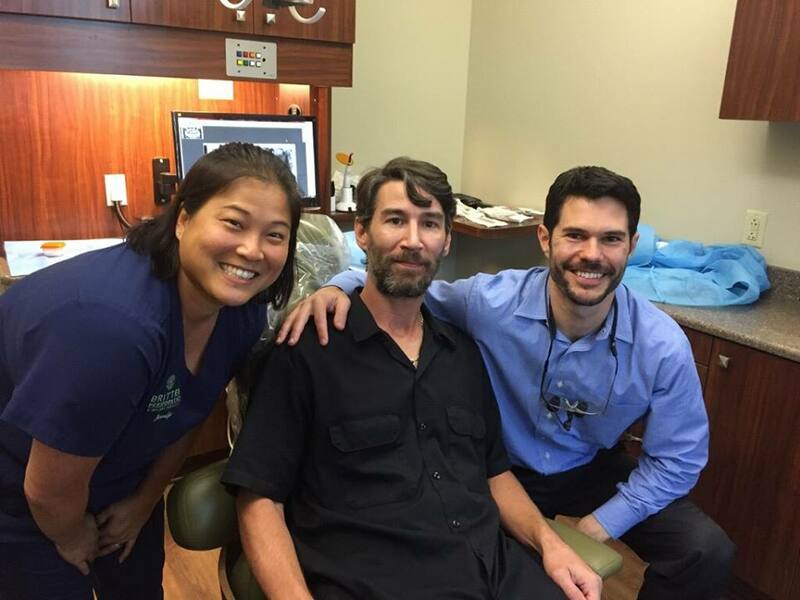 “Having Clearwater Dental Associates involved again this year, and the gracious help of Dr. Mike Podlusky and his team enables us to provide more comprehensive care to our veterans. Being a periodontist, my specialty is really the surrounding structures of the teeth; roots, gum and bone. My job is to help with the foundation. Having the restorative specialists involved helps us to treat the whole mouth and really deliver comprehensive care to these veterans.” Dr. Britten sees most patients for a comprehensive evaluation, radiographs and treatment consult prior to the event in order to determine what services he as the gum specialist can provide in his office, and make appropriate referral for restorative care from local dentists who have volunteered to help with the event. For Britten and his team this event is something they look forward to all year long. 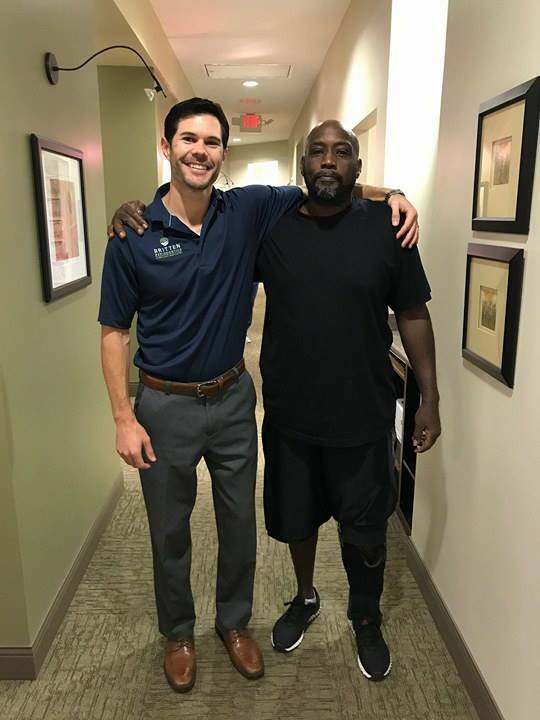 They keep in touch with veterans from previous events and this year they were able to provide follow up exams, x-rays and periodontal maintenance procedures, which help prevent reinfection of the gums following treatment. 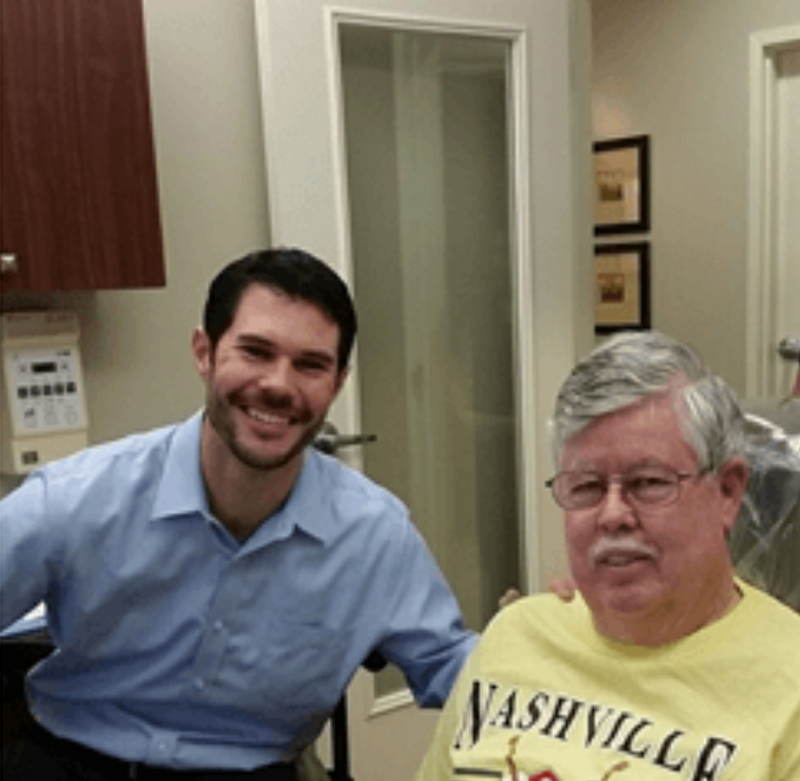 “This year we were able to invite Veterans from previous events to receive follow up maintenance care at this year’s event,” said one dental hygienist at Britten Periodontics who helped organize this year’s event. "It was great to see them again and the progress they have made in their oral health. It is touching to be a part of something that has changed someone's life in such a positive way." One patient returning this year received treatment at the inaugural event was John Smith, who served in the US Navy in Vietnam from 1965-1969. 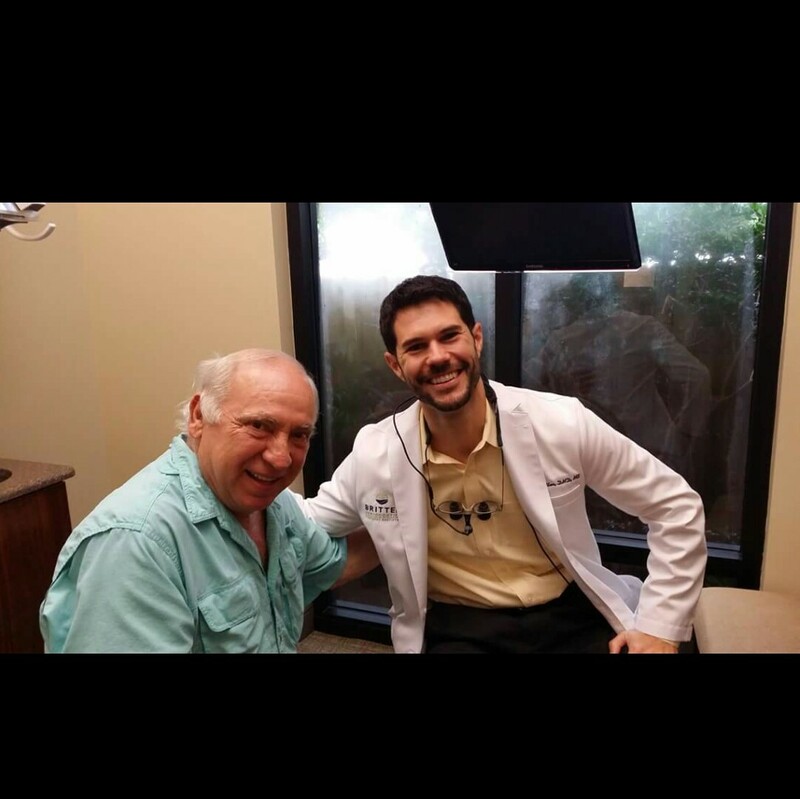 Dr. Britten explained that he was honored to be able to help Mr. Smith and to continue in his care since the 2015 event. The VFW Post 2473 in Clearwater where Mr. Smith serves as canteen manager does much to help local veterans. When asked what this event meant to him in 2014, Smith had stated, "I get to keep my teeth and I can't believe it's free." A patient new to this year's event, Yvette said, "This was the most amazing dental cleaning I have had in my whole life!"